In this article, we explain how to write a research proposal by breaking down each section into categories and explaining each. 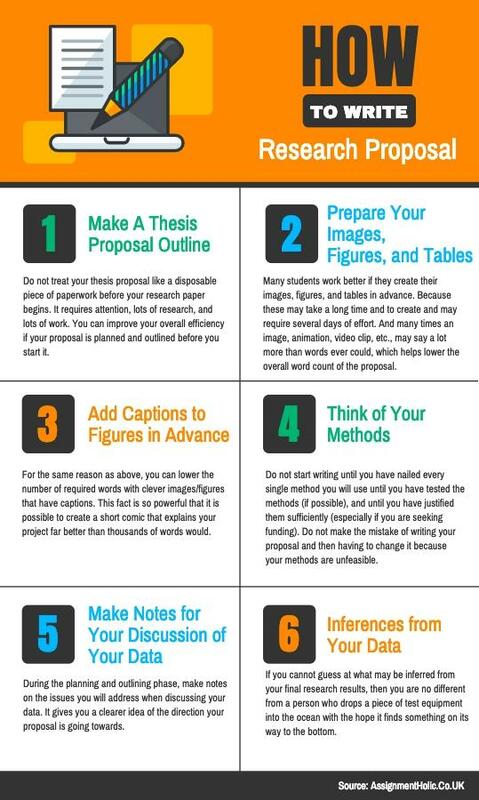 We also give you tips on how to write a research proposal in a way that will encourage your professor to give you a higher mark for your work. Academics who wish to research something may need funding in order to do their work, and that sometimes requires grants and loans. Money is raised with a research proposal. Students are taught how to write a research proposal so that they may make proposals when they become academics in the future. What Is a Research Proposal Supposed to Achieve? In the case of a student, it is supposed to show that the research the student wishes to undertake is relevant, and it is supposed to convince the professor to allow the student to do the research project. As a byproduct, it also shows the professor that the student knows how to write a proposal for a research paper. What Is a Research Proposal Going to Cost? Some research proposals are written in order to draw money from a group, college, institution, etc. In these cases, the proposal itself will cost nothing, but the research required to create a convincing proposal may cost a fair amount of money. The research proposal itself is just a document, which means if you disregard the cost of gathering information for your paper, then the proposal shouldn’t cost you anything. However, if you are struggling and still wondering how to write a proposal for a research paper, then contact the Assignment Service UK and allow them to write your proposal for you. A degree-qualified academic will be assigned to your case and will draw up a convincing and passable research proposal. The writer can aim for a proposal that draws genuine interest from investors, and the writer can create a proposal that scores higher marks from a professor. Make A Thesis Proposal Outline – Do not treat your thesis proposal like a disposable piece of paperwork before your research paper begins. It requires attention, lots of research, and lots of work. You can improve your overall efficiency if your proposal is planned and outlined before you start it. Prepare Your Images, Figures, and Tables – Many students work better if they create their images, figures, and tables in advance. There are two reasons for this. The first is because these may take a long time and to create and may require several days of effort. Secondly, many times an image, animation, video clip, etc., may say a lot more than words ever could, which helps lower the overall word count of the proposal. Add Captions to Figures in Advance – For the same reason as above, you can lower the number of required words with clever images/figures that have captions. This fact is so powerful that it is possible to create a short comic that explains your project far better than thousands of words would. Think of Your Methods – Do not start writing until you have nailed every single method you will use until you have tested the methods (if possible), and until you have justified them sufficiently (especially if you are seeking funding). Do not make the mistake of writing your proposal and then having to change it because your methods are unfeasible. Make Notes for Your Discussion of Your Data – During the planning and outlining phase, make notes on the issues you will address when discussing your data. It gives you a clearer idea of the direction your proposal is going towards. Inferences from Your Data – If you cannot think of what may-or-may-not be inferred from the data your research project will produce, then what is the point in doing your research paper? If you cannot guess at what may be inferred from your final research results, then you are no different from a person who drops a piece of test equipment into the ocean with the hope it finds something on its way to the bottom. Images – Do not underestimate a professor’s love of pictures. If you insert figures/images into your research proposal that maybe show what you intend to do, that give sample data, that shows analysis technique, that exposes background material, then your professor will be more inclined to mark your work more highly. Improve Other Figures – If you have pulled images/figures from other pieces of research, do not afraid to improve or alter them to suit your needs because this is another professor pleaser. Stealable Figures – Create images, figures, graphs, and other visualizations that other authors will want to steal. If your professor is experienced enough in the academic world, then he or she will know the power of figures that other authors are itching to cite. Do Not Fear Modern Media – Even a GIF animation of a piece of equipment doing its job has been enough to impress professors into giving higher marks for a research proposal. Read Your Proposal Aloud – Your research proposal needs to be saleable without being over the top. Imagine you are pitching to the people on Dragons’ Den or Shark Tank. You do not have to make it salesy or exciting, it simply needs to avoid being boring, sterile or overly clinical. Simple Wording Is Best – You may like to wind a glorious path to your point that is as engaging as five minutes in a laser show, but the research proposals that do the best are often worded very simply. Try to make it “Punchy” rather than semantically impressive.